SIM – the Subscriber Identity Module – is an ever-shrinking card that acts as your access pass to the carrier’s cell network. Once it was used to store your phone book and text messages, now it’s under threat of extinction. Embedded SIM solutions have started cropping up, mostly in smartwatches where a maker can make a reasonable claim that dropping the card slot is a space-saving solution. But Google put an eSIM in its second-gen Pixel phones (used to connect to the Google Fi network), and Apple has its own “Apple SIM” embedded in iPads. Apple, in particular, does some iffy stuff where an iPad on AT&T locks the eSIM to that carrier while iPads on Verizon’s network have their eSIMs deactivated altogether. 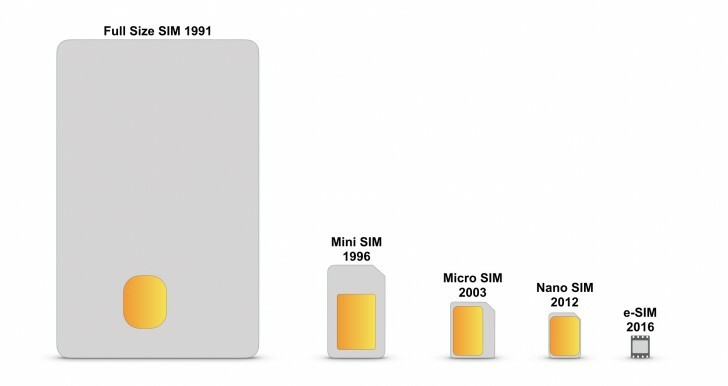 With such restrictions, we’d rather manually swap out nanoSIM cards as needed. Apple isn’t a fan of user-inserted cards in general – the company has never supported microSD (or other flash card format) on its mobile devices, and we’re pretty sure it never will. And it’s not just Apple too, many phone makers have stopped offering a memory expansion slot. Sure, a microSD car is nowhere near as fast as embedded memory, especially if we’re talking about UFS storage. What happened to UFS cards anyway? Samsung designed a slot that works with both microSD and UFS cards two years ago, and we haven’t heard a peep since. The good news is that there are plenty of models out there that offer a microSD. There are some dual SIM models with a dedicated microSD card slot, but most often with dual SIM phones we’re looking at hybrid slots. Like it or not, there are flagships out there with dual SIM versions that don’t care about the microSD card from your old phone that’s full of your photos and music. We won’t point fingers – but our Phone finder will, here’s the list of recent premium dual SIM phones with no memory expansion.